Cañada College has formed the President’s Advisory Group, a team comprised of passionate professionals who will support college leadership in becoming better connected to civic and neighborhood organizations as well as the business community. With this, the College will gather input from community leaders on what our community needs from Cañada College and how Cañada can be the best and most effective partner to accommodate those needs. The President’s Advisory Group will meet quarterly and held its first meeting on March 16. 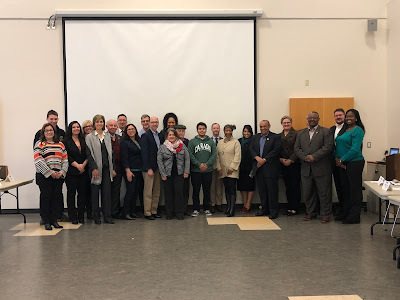 In addition, the College will also partner with the President’s Advisory Group on fundraising projects that enhance student learning and keep the College focused on being an outstanding teaching and learning organization for the residents of San Mateo County.